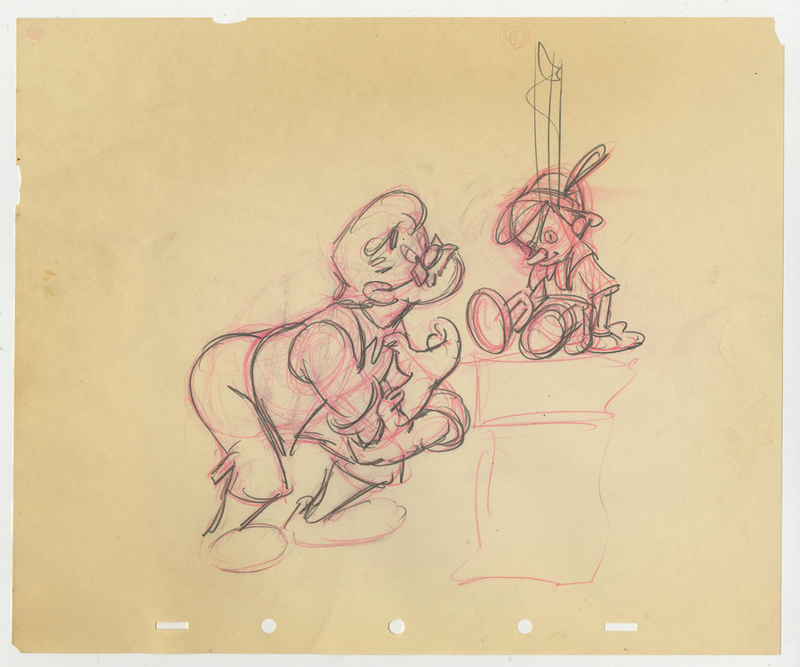 This is a stunning original story sketch from the Walt Disney Studios production of Pinocchio (1940). 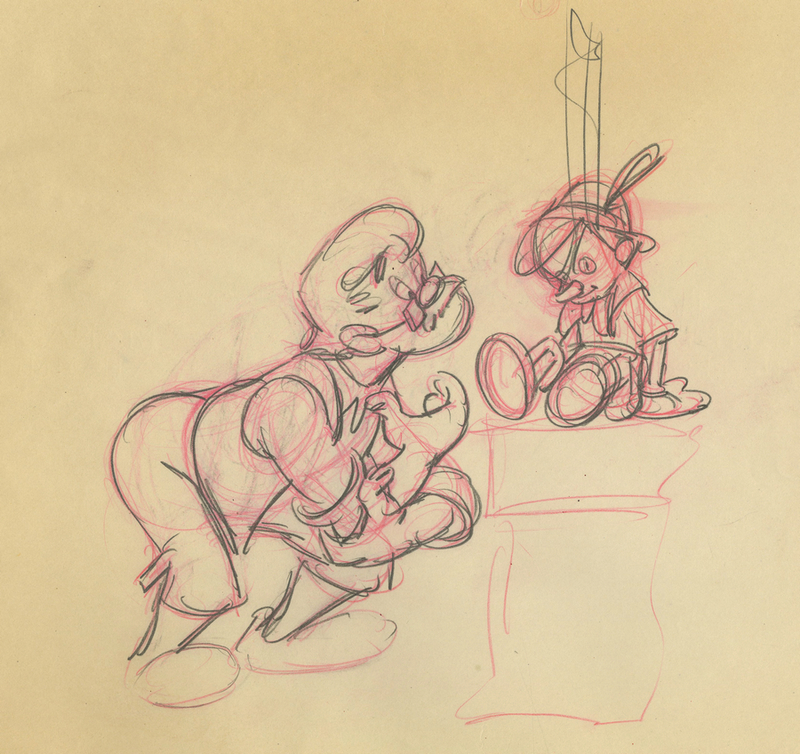 This hand-drawn development design sketch features Geppetto admiring his beloved creation, Pinocchio, and was created at the studio and used during the early development of the film. The overall measurements of the piece are 10" x 12" and the image itself measures 8" x 7". The paper is fragile and somewhat brittle but it is overall good condition as seen in the images with some edge wear.